The Head Murray Combi 8 racket bag has a stylish, elegant design and is manufactured from 100% polyester ensuring enhanced durability. This spacious bag is very functional and offers backpack carry system for easy and comfortable transportation. The bag can hold up to 8 rackets and one of its compartments is equipped with the CCT+ thermal foil for excellent racket protection. In addition, the Murray Combi bag has 2 side zipper pockets for all the necessities. 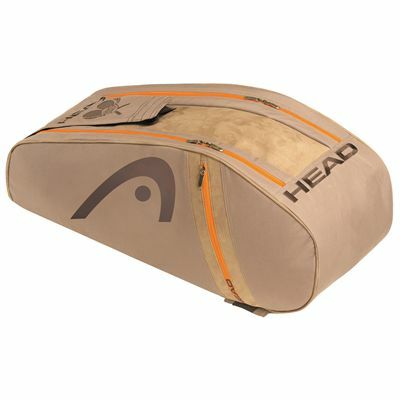 for submitting product review about Head Murray Combi 8 Racket Bag.